The Bengals worked out free agent Rod Smith, Field Yates of ESPN reports. Smith, 27, is the brother of Cowboys linebacker Jaylon Smith. The running back has spent most of the past four seasons in Dallas and backed up Ezekiel Elliott the past three seasons. The highest-paid player in NFL history will generally be the latest hot quarterback to get a deal. Derek Carr held that highest-paid title for a little bit, Matthew Stafford took it from him, Jimmy Garoppolo got the belt for a while, then Aaron Rodgers grabbed it. In the early morning hours on Tuesday, Seattle Seahawks quarterback Russell Wilson signed an extension worth $35 million per season, the highest average deal in NFL history. 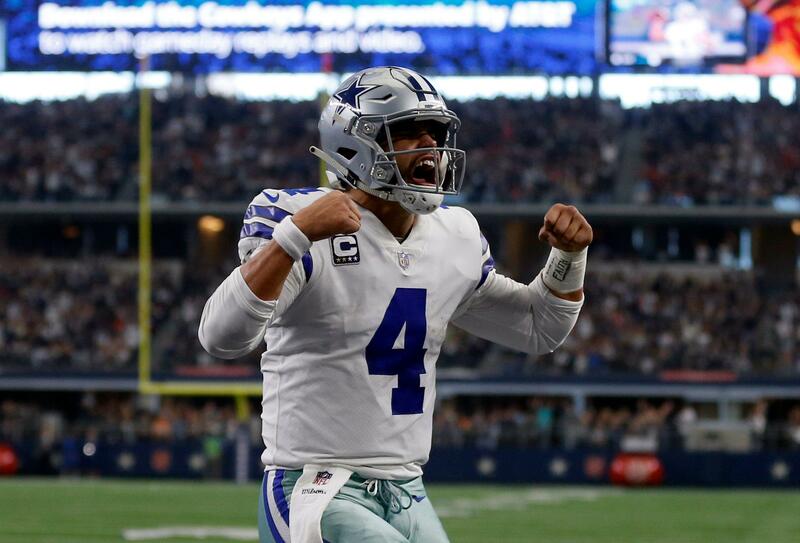 Posted in Dallas Cowboys, Seattle Seahawks | Comments Off on Russell Wilson got paid, but which QB up for a new deal might beat his record? "The feedback has been really good," Adderley said. "I&apos;ve been told (NFL teams) really like my versatility, my ability to cover a lot of ground on the back end, my physicality, my football intelligence.